First launched in 1999, the Maruti Wagon R has already sold more than 2.22 million units. Its popularity can be gauged by the fact that it has consistently featured in the top 10 slots of the list of the annual best-sellers for many years now. 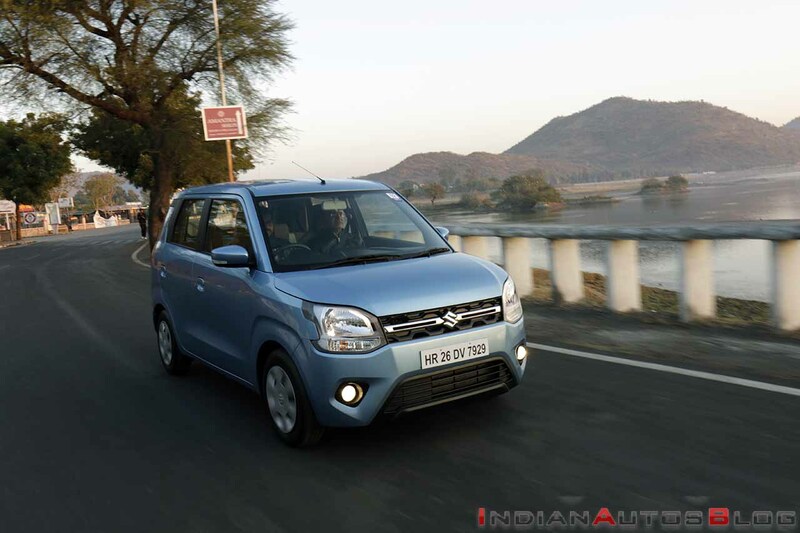 Earlier this month, Maruti Suzuki India Ltd (MSIL) introduced the third generation of the country's favourite tallboy. Like its Japanese-spec brethren, the latest iteration of the popular B-segmenter is based on the HEARTECT platform. Moreover, for the first time ever, the Wagon R has received a 1.2-litre engine option in the form of the K12M motor that propels some of the costlier five-door models in the company's lineup. The highlights don't end here, for the new model benefits from a more spacious and a better-appointed cabin and an AGS automated manual transmission for both 1.0 and 1.2 motor options. 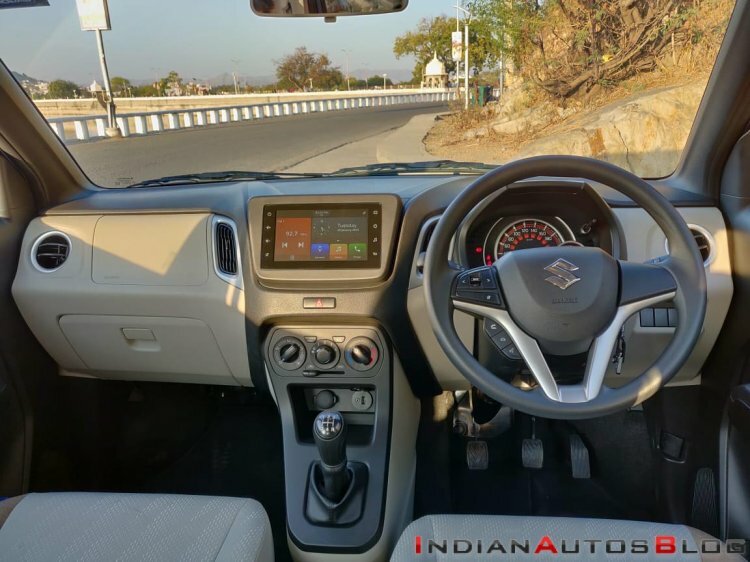 Recently, we drove the 2019 Maruti Wagon R 1.2 MT variant in and around the scenic town of Udaipur to sample the latest generation of the company's affordable offering. The 2019 Maruti Wagon R features entirely new aesthetics that make it look more modern than its predecessor. That said, there's still no mistaking this model for anything but the Wagon R. The familiar boxy silhouette and the huge greenhouse have been retained, thereby making the new car instantly recognisable. At the front-end, the new model features large 'Dual-split' headlamps, a wide grille with chrome applique, and a chunky bumper that carries a rather huge air dam. The new front-end is a step up from the earlier vehicle's slab-sided nose. Furthermore, the increase in width (1,620 mm vs 1,475 mm earlier) lends a more planted stance. Similarly, a look at the side profile immediately reveals the larger footprint. The usage of the HEARTECT platform has made the car significantly longer. The wheelbase, at 2,435 mm, is precisely the same as that of the Ignis. The talking points of the new car' side include bold character lines above the wheel arches and a floating-type roof. Unfortunately, however, there are no alloy wheels, even on the top-spec ZXi trim. 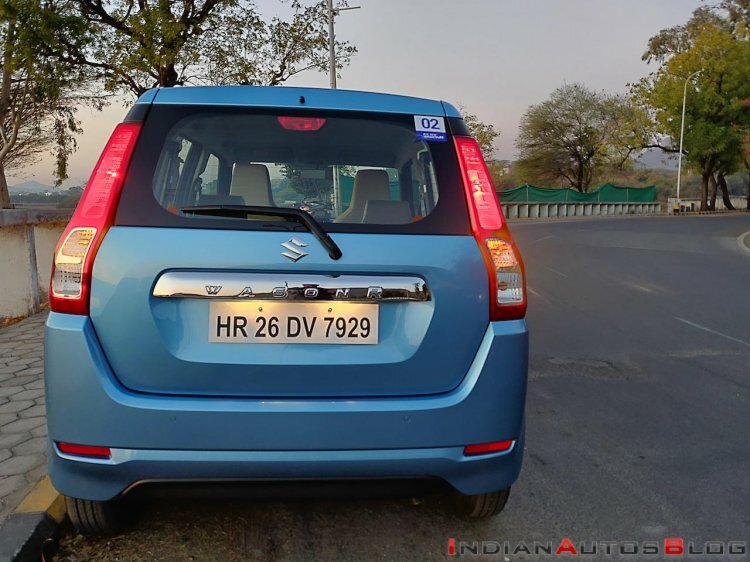 The biggest highlight of the rear is a tall set of tail lamps, which, along with the chrome applique above the registration plate housing, makes posterior of the new car slightly reminiscent of that of the new-gen Ertiga. 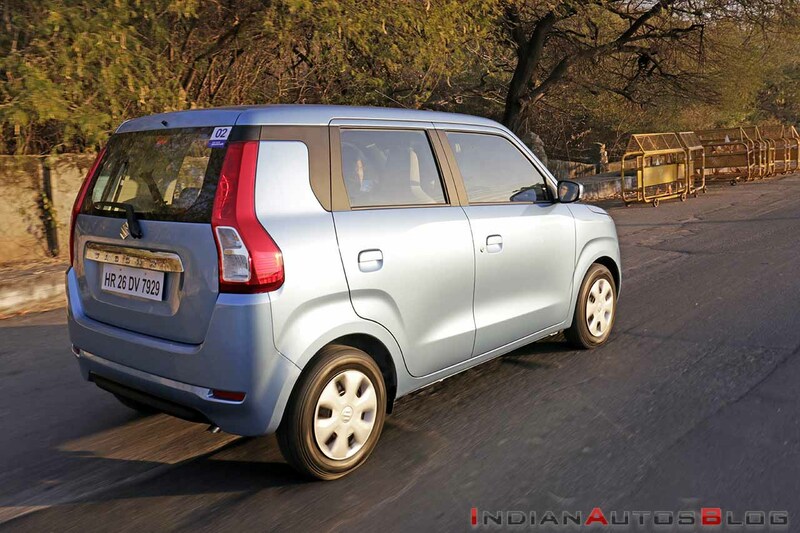 The increased dimensions have resulted in a sizeable boost in the interior space that the Wagon R now offers. Furthermore, the cabin feels slightly better built, which is due to the usage of higher quality materials and better fit-and-finish. The front occupants sit quite high, and the large windscreen helps the driver have a good view of the road ahead. The seats are new, too, and come with integrated headrests. That said, while they are wider than before, they could have been better bolstered. The multi-function steering wheel comes from the Ignis and offers tilt adjustment. Continuing with a thoroughly modern appearance, the new speedo cluster looks jazzier than before, especially when lit up in the dark. It is at the rear when the increase in space gets really apparent. The leg space on offer is just phenomenal for a car of this price segment. Moreover, the rear seat can comfortably accommodate three occupants, something that wasn't a strength of the previous model. The door pads can hold a 1-litre bottle each, while there is adequate space below the aircon controls to store a wallet and a smartphone. There's another cubby hole near the handbrake, but unlike the previous models, the new car doesn't get a glass holder on the dashboard. The boot space, at 340-litres, is even more than what some of the pricier cars offer. The sufficiently low loading lip and the wide opening helps you easily store a lot of luggage. The car's cargo-carrying capacity can be further boosted by folding down a part of the rear seat through the 60:40 split feature that is available on the higher variants. The 2019 Maruti Wagon R is the first recipient of the company's 'SmartPlay Studio' infotainment unit that is likely to become a regular feature on many other Maruti models. 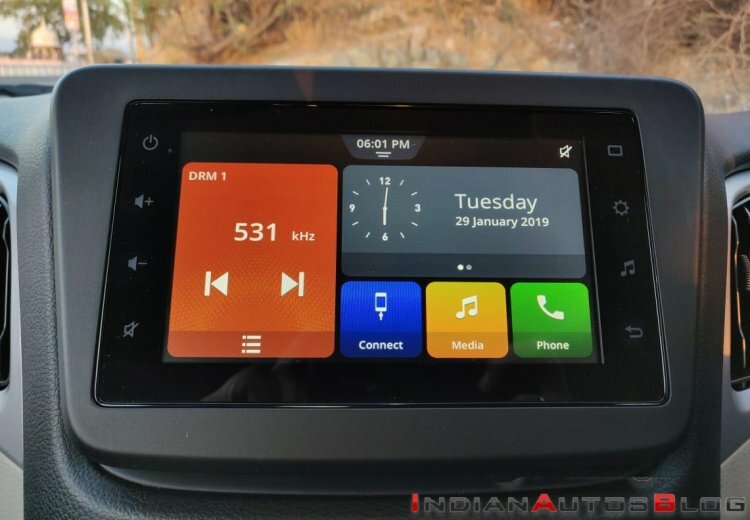 The 17.8 cm touchscreen unit not only offers Android Auto and Apple CarPlay support but even provides information on parameters like fuel efficiency achieved on the last 5 trips. In our books, the introduction of the 1.2-litre engine option has to be the single most significant update on the latest-gen tallboy. The bigger motor not only holds a displacement and power advantage over the 1.0-litre option but even provides a higher refinement level due to its four-cylinder design. Armed with the more potent engine option, the new Wagon R, which has a maximum kerb weight of just 845 kg and a power-to-weight ratio of nearly 100 PS/tonne, is very quick off the block. As is the case with other cars that are powered by the 83 PS/113 Nm K12M motor, the refinement is quite high, and the engine impresses with its peppiness. The 5-speed manual transmission offers smooth shifts, and the clutch action is quite light. There is enough low-end grunt on offer, with the well-selected gear ratios enabling you to trod along at pretty low speeds even in a higher gear. On the crowded streets of Udaipur, we managed to drive around 40 kmph in fourth gear, with the motor seldom warranting a downshift. What's more, with an ARAI-certified fuel efficiency of 21.5 km/l, the four-pot engine is only slightly less frugal than the 68 PS/90 Nm K10B option. On the expressway, triple-digit speeds can be extracted third cog onwards, and the new car is a lot quicker while sprinting from 0 to 100 km/h. The NVH levels, for the most parts, remain under a check. The tallboy structurer does lead to slightly high wind noises at high speeds, but things never become irritating. The motor has a rorty sound note, especially when given the stick, and provides a sporty aural experience when revved above 5,000 rpm. The HEARTECT platform has resulted in a significant improvement in the driving dynamics. The usage of the stiffer architecture makes the latest-gen offering feel much more stable at the high speeds than its predecessors. That said, one must not overlook that the 2019 Maruti Wagon R is a lightweight tallboy that is susceptible to getting caught in the crosswinds. Moreover, the high centre of gravity even leads to a slightly more pronounced vertical movement than before. The steering wheel isn't too light and even weighs up a fair bit as the speeds rise. However, it offers little feedback and requires constant corrections to have the car maintain its line. The earlier Wagon R offered a comfortable ride on most surface. Well, the new one takes things a notch higher. The new car comfortably soaks in most of the potholes and silently irons out the slight tarmac irregularities at high speeds. 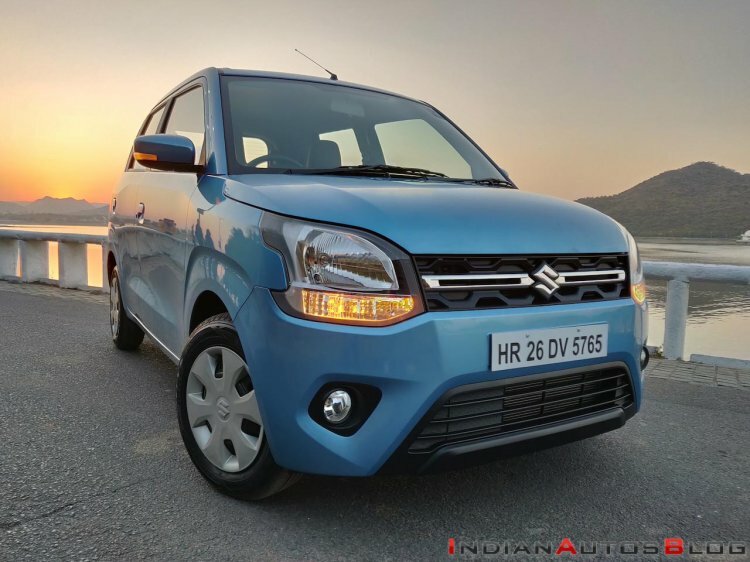 On sale in a price bracket of INR 4.19 lakh-5.69 lakh, the 2019 Maruti Wagon R offers terrific value for money. Compared to the earlier model, it's only a tad pricier but comes across as a better-rounded product. The introduction of the 1.2-litre engine option and the HEARTECT platform has definitely done wonders to the way this car drives and handles. The new architecture has even resulted into a larger cabin, which has not only grown in every dimension but is also better equipped with features like a touchscreen infotainment unit on the top-spec trim. True, the Wagon R never appealed to the driving enthusiasts, and things don't change by a considerable degree with the advent of the latest version. As a budget-end family car, however, the 2019 Maruti Wagon R makes a lot more sense than the vehicle it replaces.